IA Design were engaged to contribute towards the staged delivery of a full building upgrade of 55 St Georges Terrace. The core objective of the upgrade was to attract new tenants and keep existing. The scope included upgrades to floor plates and lift lobbies, as well as a face-lift for the ground floor lobby and end of trip facilities. The building owner also completed a non-typical industrial style floor featuring exposed ceilings & polished concrete floors throughout. 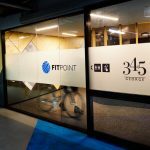 Following the completion of interior and exterior works, 55 St Georges Terrace has received the re-introduction to the Perth market that the building owner had hoped for. This project was successfully delivered with the following team: Donaldson & Warn (Architects), PGD (Service Consultants), BCA (Compliance Consultants) and Knight Frank (Project Management).